Penguins could be one step safer at Pukerua Bay, with a new sign providing tips and information to visitors. Little penguins or kororā are occasionally seen and heard by residents at Pukerua Bay beach. Kororā usually come ashore in the evening and return to the sea in the morning. But when they are breeding or moulting they stay on land all the time. As their name suggests, they are tiny at around 33 centimetres long, and as they are flightless, they can easily be attacked by dogs. Children from Pukerua Bay School joined Councillor Dale Williams and local residents to celebrate this initiative on Thursday 14 June. The children planted around the sign and placed hand-painted penguins nearby. Designed by Pukerua Bay resident Anne Johnston, the sign has been adapted from a sign placed at Paekakariki by the Kāpiti Coast Biodiversity Project. 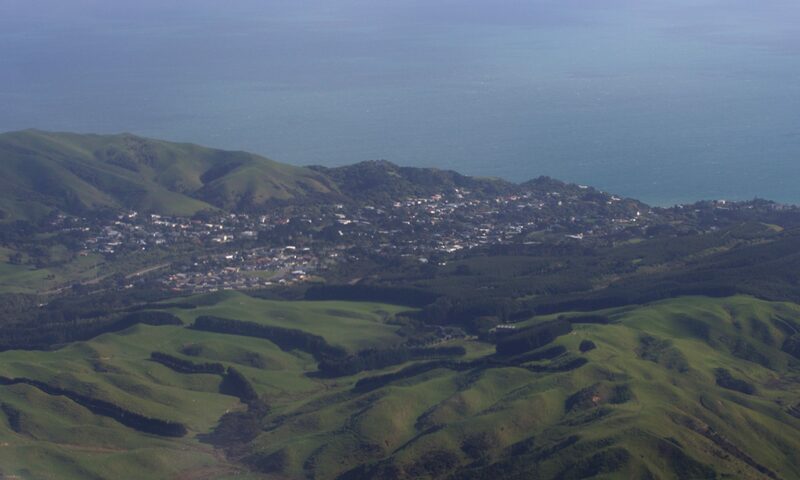 The Pukerua Bay sign was created with support from the Hutt Mana Charitable Trust, the Department of Conservation, the Kāpiti Coast Biodiversity Project, Porirua City Council and the Pukerua Bay Residents’ Association.